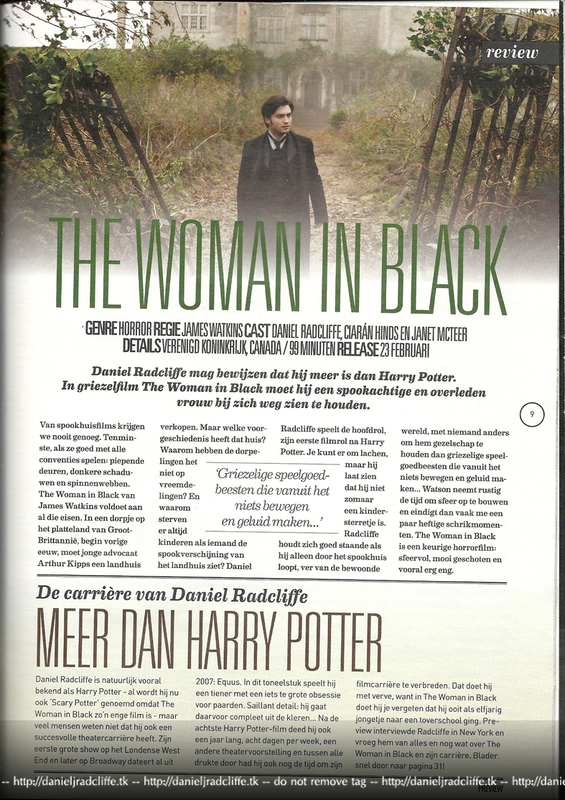 Hieronder scans van Preview magazine (nummer 2 met Daniel op de cover) met een interview met Daniel en een artikel about The Woman in Black. English: The interview hasn't got any really new information, but for everyone who would like to have a translation, let me know. Update: English translation below because Isabelle asked for it. 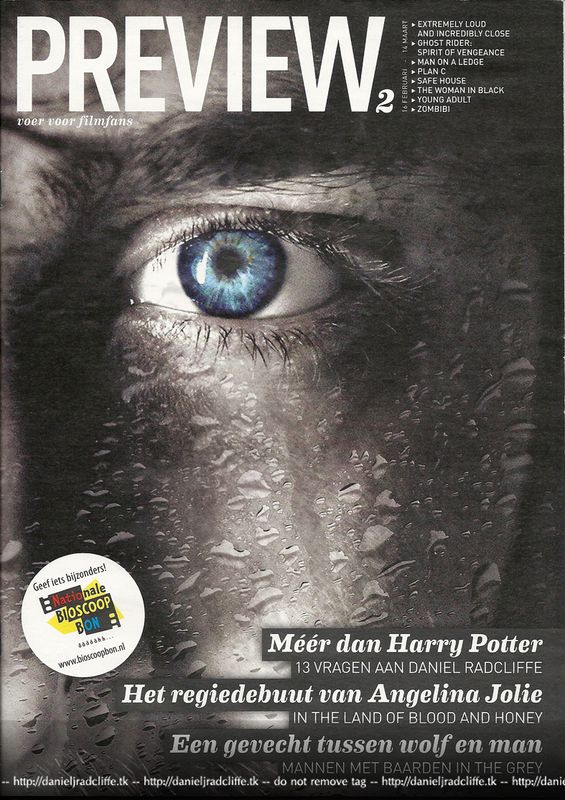 Why did you choose The Woman in Black as your first rol after Harry Potter? I trust my instinct. There were a few good scripts I could choose from. but this one was on top of the list. surprisingly, because I am not a horror fan, but this is a scary and daring role. For example, in the middle of the film there is no talking for about 20 minutes. This is your first role as a mature man. Do you want to head this way as an actor? When I get a script tomorrow where I play an 18 yeat old - I wanted to say 16 year old, but then I flatter myself - then it is not a problem. I was 21 when we were shooting the movie, but I play a 25 year old. I look older because of my costume and stubbles, but my character has a burden and I need to show that to people in a way they believe it. How did you prepare this role? I always listen to music to get myself into the right state of mind. For this tole I listened to a lot of depessing music, like earlier work from Radiohead. Then I also try to have an effect on my co-star, because I am not really thinking of myself that much then. You did went to a psychiatrist to understand your character better? I went to a specialist for mourning. I wanted to know how It feels to lose your partner at such a young age. The wife of my character dies during childbirth, and everytime he looks at his son he also still sees his wife. Arthur keeps his son responsible for the dead of his wife, he is emotionally not open to him. That an interesting but horrible idea. What would you do when you never could act again? I would be an archaeologist. If I could be until my knees into the mud, digging up pieces of stone I would be very happy! But I still love acting and if I would go studying for three years people would forget me after 6 months. What are you doing when you aren't on Broadway or a film set? Well, then I am just sleeping. I live in contant fear that someone will come into my room and yells "ok this was it. No sleep for you anymore, you will work forever" When I can stay in bed, I get that chance with both hands. I am amazed that I still like it a lot on Broadway. I am on stage 8 days a week and I still have never missed a show. Wouldn't it be hard to shed yourself from the Harry Potter image? 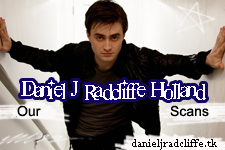 I have never thought that everyone would like this role instantly and that everyone would say "Oh my god this is such a different role then Harry Potter, we accept you as an actor!" That doesn't change that fast, it's a phase I need to get through. Equus also has helped a lot with that, even when stage is really hard. From which things can you get really scared? Actually only things which scares everyone. I don't believe in ghost and other creatures which don't excist, but I can get scared from surreal stuff. A silhouet in the dark, a sound under my bed.. I get scared from that yes! What's the most scary movie you have ever seen? The Shining from Stanley Kubrick. When I only think of It I already get goosebumps. But I will tell you a secret. The first scary movie I saw was Ice Cube classic.. Anaconda! I was about 8 years old. When a character died you had to leave the room, but I picked Ice Cube and that meant that I watched the whole movie. If that was positive? I am still not sure. 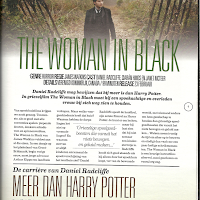 The Woman in Black sometimes get's compared with Harry Potter. What do you think of that? What drives me crazy sometimes is that people make that connection because there are ghosts in both movies. First people started to say that when they had not even seen this movie yet, and second I also don't compare the elves from harry Potter with the ones from The Lord of The Rings? Those are also not the same right? Or you need to think that Dobby and Orlando Bloom are alike. Could you let lose a lot of emotions into this role? I well show less emotions privatly then on the set. I think that the principal figure is responsable to keep the morality high on set. because of that I was really good with taking out my negative emotions. I didn't gave myself the right to feel bad, but that got too overwhelming at one point. How's it with the paparazzi in your current state, New York? For now it's going great! They only got me for two times now. One time I was walking with my girlfriend and the other time they took a picture while I was smoking. In L.A. I saw about 30 paparazzi photographers dricing behind Britney Spears. Thirty angry, annoying and rude men who hunt after a woman, that's nasty. How was it working with James Watkins? I don't want to put down any of the director's of the Potter movies, but I have learned more from James then any other. The way he does things is just genious. For example there are two toy monkeys into the movie, playing instruments. When you see a close-up at their facesit looks like they are watching me, but it is the light from the candles that's reflecting into their eyes. Terribly scary! 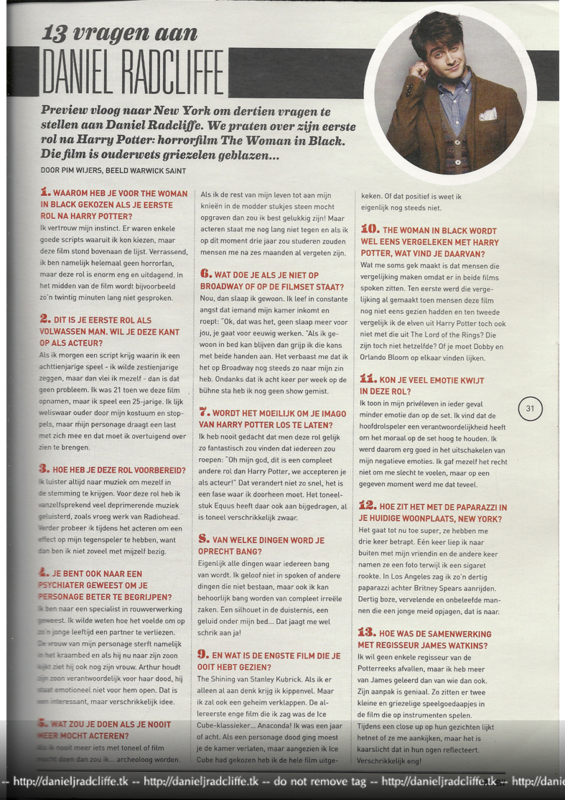 Can you translate for english the interview, please?